If you've bought an existing house, and whether you've just moved in or have lived there for years, you may have wondered if your kitchen is "up to code." In other words, does it meet the current standards (and laws) for safety and livability. If not, perhaps you'd like to make upgrades to meet those standards, or maybe you're planning to update or remodel your kitchen and need to know the basic requirements for things like electrical outlets, lighting, plumbing and ventilation. Understanding the most common code rules is a good place to start, but for specific code requirements in your area, contact your city's building department, which is the final authority on all code matters. 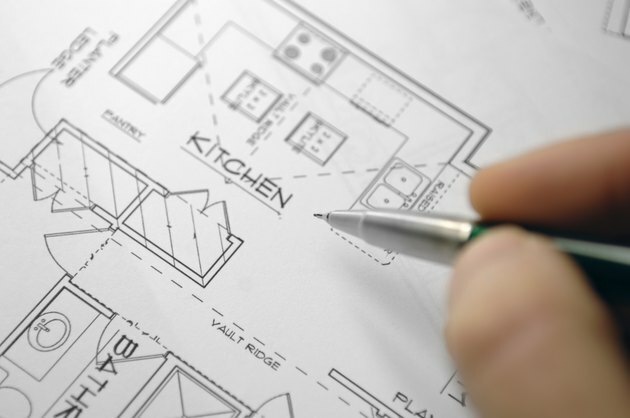 Kitchen planning should be done with an understanding of local code requirements. Building codes are sets of rules, requirements and recommendations intended to promote the design and construction of safe buildings. It's important to understand that there are model codes (sometimes called "national" codes), and there are also local codes. From a legal standpoint, model codes are merely recommendations, while local codes are the law in a given jurisdiction, such as a city or state. Most local code rules are based on the recommendations of the model codes, but they may vary at the discretion of the local code authority. 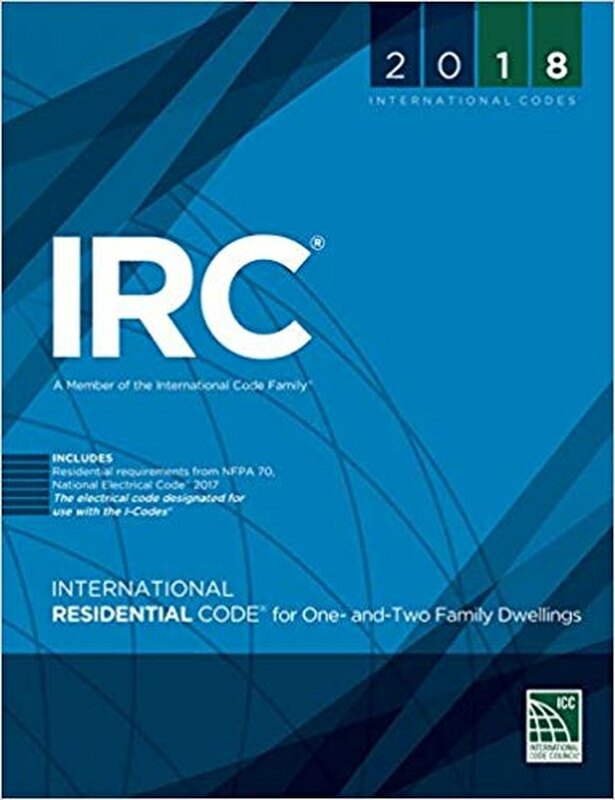 2018 International Residential Code book. When researching kitchen design and remodeling, you will surely run into a lot of "kitchen design rules" and similar guidelines. Be aware that most of these are merely recommendations and suggestions rather than code requirements. The National Kitchen and Bath Association (NKBA) is the industry's leading source for kitchen design information and offers helpful advice for all aspects of kitchen planning, including layout, choosing materials, accessibility, lighting and other design considerations. The NKBA recommendations will suggest how to set up a work triangle in your kitchen or how high to install your wall cabinets, while the local code authority probably will have no rules about these particulars. Most of the code rules for kitchens deal with electrical circuits and devices, and most local codes follow the NEC, the only model electrical code in the U.S. Standard kitchen electrical codes cover circuits for outlets (receptacles), lighting and switches and appliances. There aren't many specific code requirements for plumbing in the kitchen, and rules tend to vary depending on which model codebook the local code follows. Dishwasher: Some local codes require an air gap device in the dishwasher drain line. 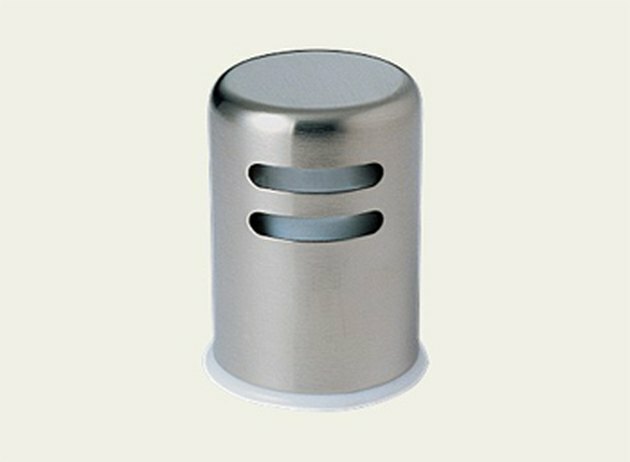 This installs into one of the extra holes on the back shelf of a sink, or it can be mounted into the countertop (but beware that water can come out of the air gap). The drain hose from the dishwasher connects to the smaller of the two ports on the air gap, then a short length of hose runs from the other air gap port and makes the connection to the sink drain or garbage disposer. The short hose is a larger diameter than the dishwasher hose because the drain water flows through the short hose via gravity, while flow in the drain hose is driven by the dishwasher pump. Kitchen sink drain: The minimum pipe size for the drain parts under the sink and including the P-trap is 1 1/2 inch. For the piping after the trap, the IRC requires 1 1/2-inch pipe, while the UPC requires 2-inch pipe. The maximum distance to the vent is 6 feet under the IRC; 3 feet 6 inches under the UPC. Kitchen ventilation typically is provided by a vent hood (also called a range hood) or by an above-the-counter microwave with an integrated vent fan. Cooking surfaces (cooktop or range top) must be ventilated by a hooded fan rated for at least 100 cubic feet per minute (cfm). Vent hoods rated for more than 400 cubic feet per minute (cfm) require make-up air (fresh-air intake in an approved area of the home). Cooking surfaces must have at least 30 inches of clearance between the surface and any combustible materials above. Vent fans must be ducted to the outdoors (non-ducted "recirculating" fans are allowed in some areas). 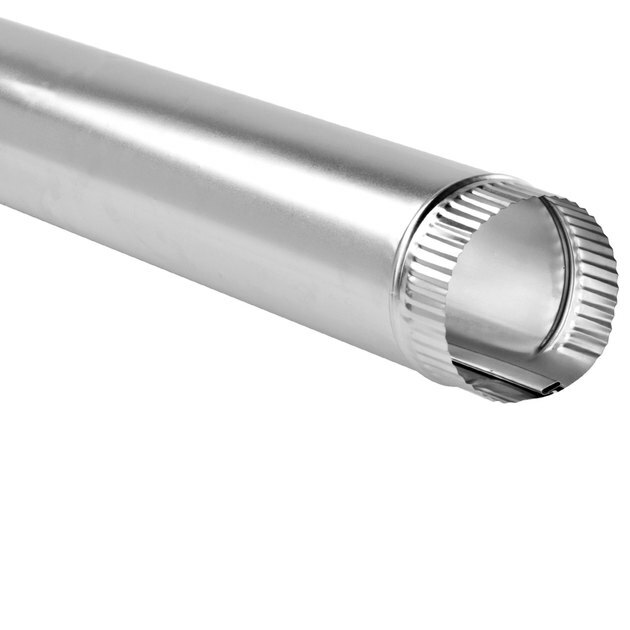 Ducts for range hoods must include a damper and outdoor termination. Ducts must be metal and have a smooth interior, with the exception of ducts for downdraft vents that run under concrete slabs: these may be PVC. Range hood may be cord-and-plug (not hard-wired) if the receptacle it plugs into is on its own circuit. Smooth metal vent duct are required for vent hoods. Which Upgrades to Do First? Updating an old kitchen and bringing everything up to code can be a significant and expensive project, and unless you're planning a big remodel, you probably won't change everything at once. So if you're picking and choosing, hit the safety concerns first, starting with GFCI protection. 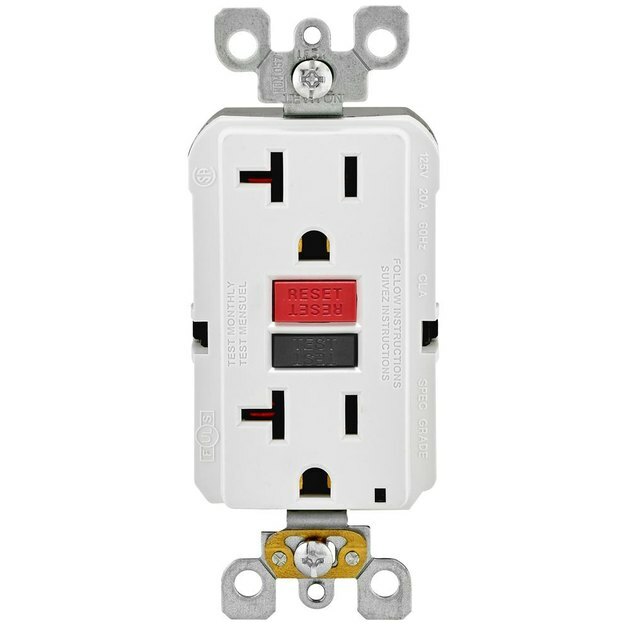 You can actually add protection without replacing all of the receptacles or the circuit wiring, by using a single GFCI receptacle installed upstream of the other receptacles on the circuit or, better still, by replacing the receptacles' breaker with a GFCI breaker in your home's service panel. This won't satisfy the code requirement for two 20-amp small appliance circuits, but it will make your existing outlets safer to use. For the sake of convenience, upgrading the counter area receptacles (and adding those 20-amp circuits) can make an old kitchen much easier to use, as you'll finally have a place to plug in all your modern kitchen equipment. If your kitchen sink drains efficiently, there's no rush to replace its drain system. But if it drains slowly and is prone to clogs, chances are it's not up to code and should get an upgrade. If you do a lot of cooking and don't have a range hood or adequate ventilation, you might give priority to a new vent hood ducted to the outdoors. Non-ducted recirculating vent fans offer no real ventilation and shouldn't be allowed by code, at least for new construction.